A big “Bolerama” event to celebrate the 50th anniversary of the iconic Boler trailer is scheduled for August 15-19, 2018 in Winnipeg. We didn’t have to stray too far from home for this week’s Vintage RV subject. Phil Budiselich is a staffer here at RVwest and along with his wife Debbie, they are recent, and may we say, proud owners of a 1973 Boler trailer. 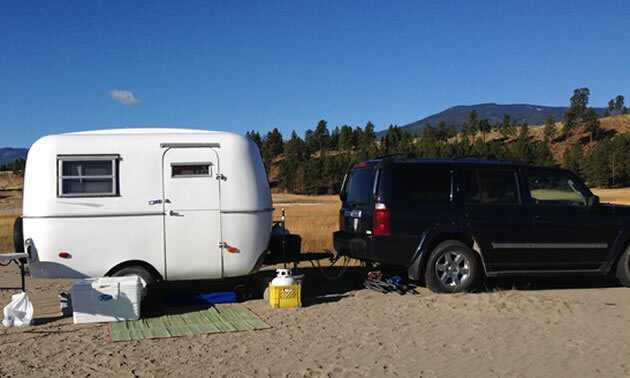 Phil was kind enough to submit a few photos of their Boler on the beach, as they recently did a little fall camping to wrap up the season. Why is that? Because Bolers are becoming a “hot” commodity amongst collector and young couples/families who want to experience RVing in a simple, more “back-to-their-roots” kind of way. So it's no accident that you might be noticing more and more Bolers on the road and in campgrounds across Western Canada. It is estimated that some 10,000 or so Bolers were manufactured and they have enjoyed a “cult-like” following and resurgence in recent years. Around 1974 (or perhaps as late as 1977—accounts vary), Boler was purchased by Neonex. Neonex, owned by business magnet Jimmy Pattison, had considerable experience in RVs, producing the Travelaire, Holidaire, Rustler and Otto brand RVs. Neonex Leisure shifted production to Calgary (from Winnipeg and Grand Prairie) and in 1979 Boler introduced a 17' version which was not as successful as the original 13' edition. Though Neonex is defunct, evidently BC billionaire Jimmy Pattison still holds the Boler trademark and the registration of the trademark is active – though there is no indication that Mr. Pattison is wanting to jump back into the Boler trailer manufacturing business. 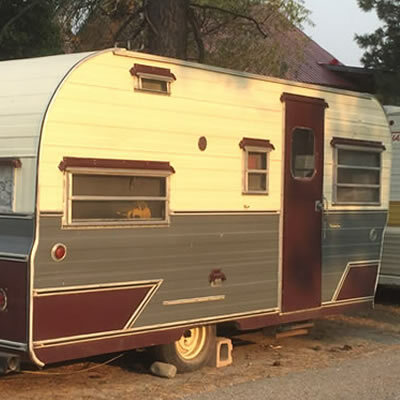 The Boler was produced from 1968 to 1988, and 2018 is the 50th Anniversary of the little egg-shell trailers. A big “Bolerama” event to celebrate this anniversary is scheduled for August 15-19, 2018 in Winnipeg. 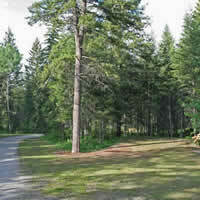 At this point 584 trailers have been registered and all the Boler action takes place at the Red River Exhibition Park. Maybe Phil and Deb will be taking in the Bolerama too—we’ll keep you posted. Got more stories or photos of the iconic Boler or another vintage RV? Share them with us at [email protected]. 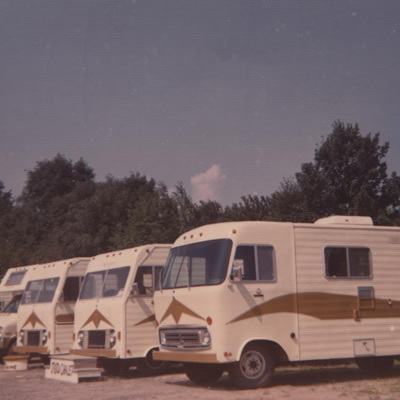 The iconic Golden Falcon, like so many other vintage RV’s, has a rich legacy of history and many passionate followers. Turns out the Moto-Chalet story is one of the most incredible, yet largely unknown tale, of a true pioneer in the Canadian RV industry.